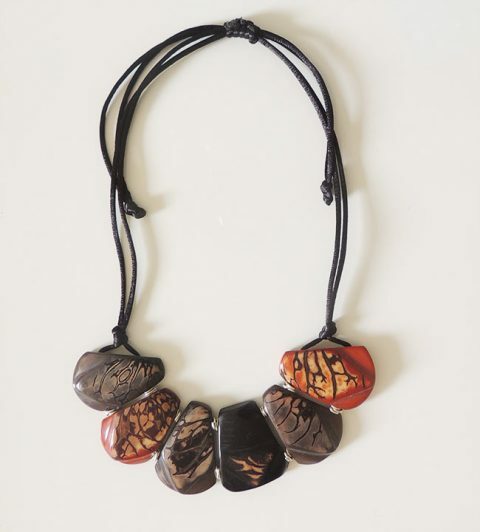 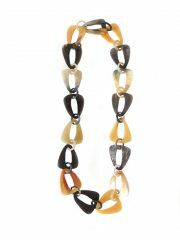 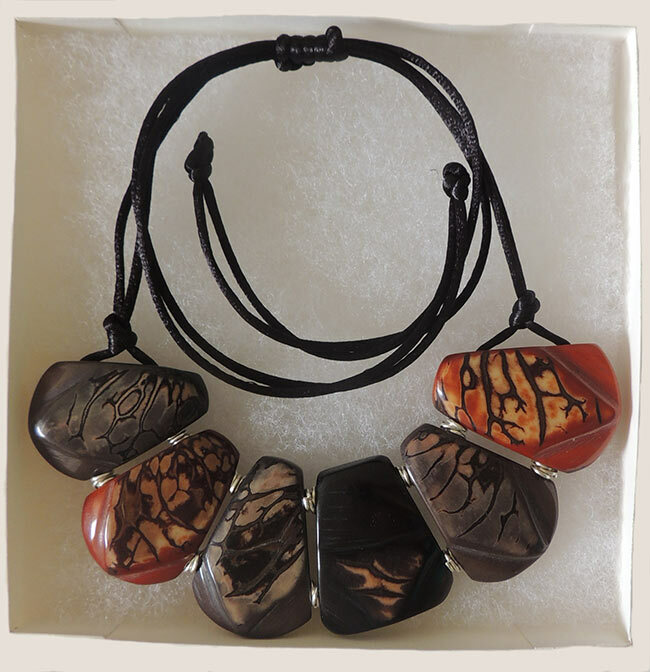 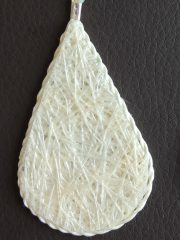 Jewellery “Taqua grey-brown” necklace made of natural Vegetable ivory (taqua). 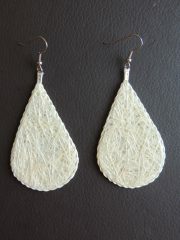 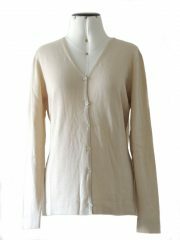 Jewelry “Taqua grey brown” necklace made of natural Vegetable ivory (taqua). 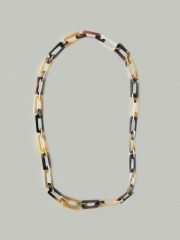 PFL necklace rectangular link chain, handmade of polished buffalo horn. 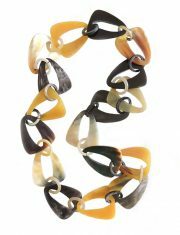 PFL necklace with triangular links with rounded corners and small round link chain handmade of polished buffalo horn.